Danny Hellman Illustration Blog: Weasel-Like Creatures Ripped My Flesh! It's a Zappa reference! It's a Mens Adventure mag reference! It's a Bill deBlasio/Giuliani reference! It's WEASELS, or FERRETS, MARTENS or...WHATEVER! 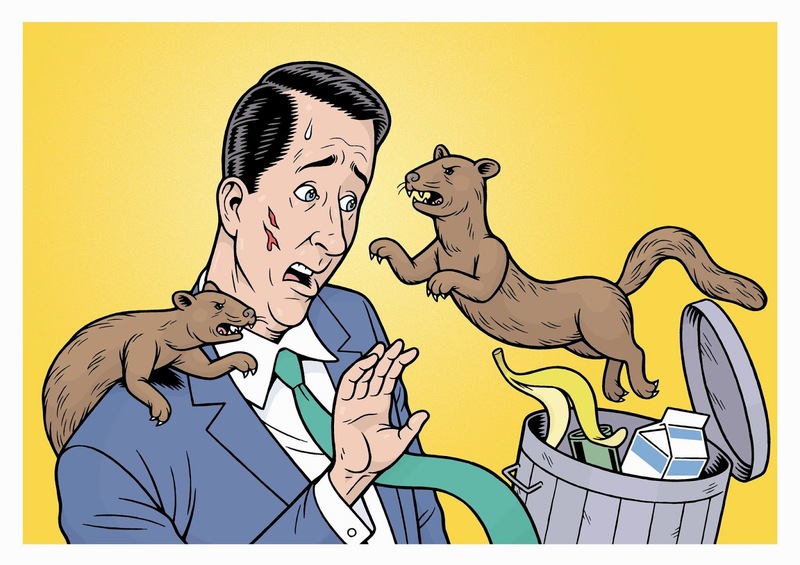 "Weasel-Like Creatures Ripped My Flesh," a cover illo for HARTFORD ADVOCATE, August 2009, art direction by John Adamian.